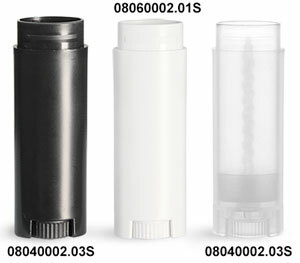 These 0.15 oz black polypropylene oval lip balm tubes include matching black plastic caps. Use the ribbed turning wheel at the base of the black oval lip balm tube to neatly dispense your product. 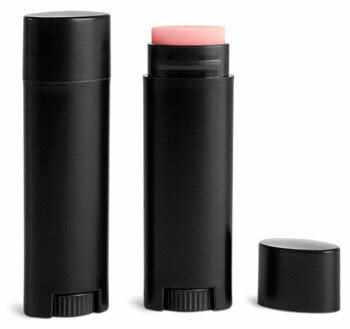 These black lip balm tubes could be ideal for lip wear products, solid sunscreens, cosmetics, insect repellants and more.